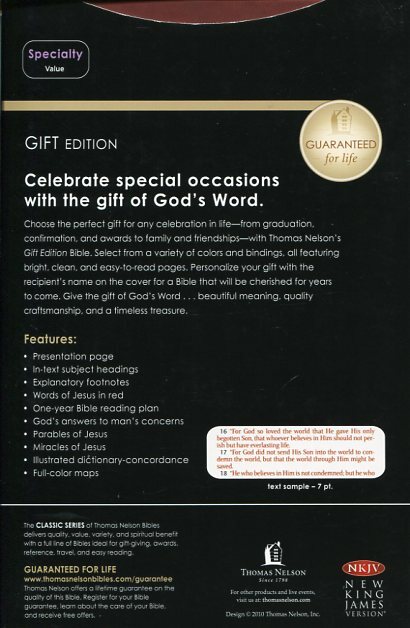 Celebrate special occasions with the gift of God's Word. Choose the perfect gift for any celebration in life - from graduation, confirmation and awards to family and friendships - with Thomas Nelson's Gift Bible. Select from a variety of colours and bindings, all featuring bright, clean and easy-to-read pages. Give the gift of God's Word... beautiful meaning, quality craftsmanship and a timeless treasure. 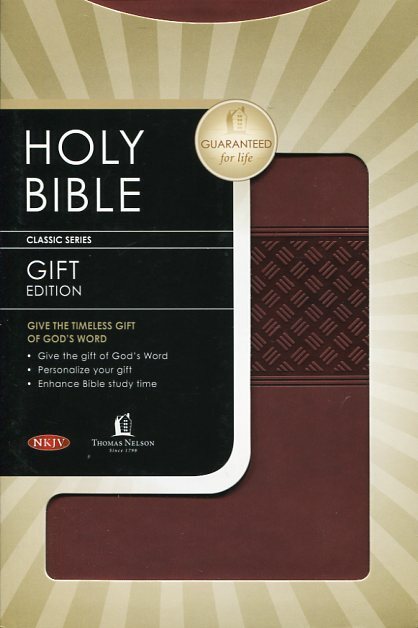 NKJV Classic Gift Bible: Brown, Imitation Leather by Thomas Nelson Publishers was published by Thomas Nelson in February 2013 and is our 5269th best seller. 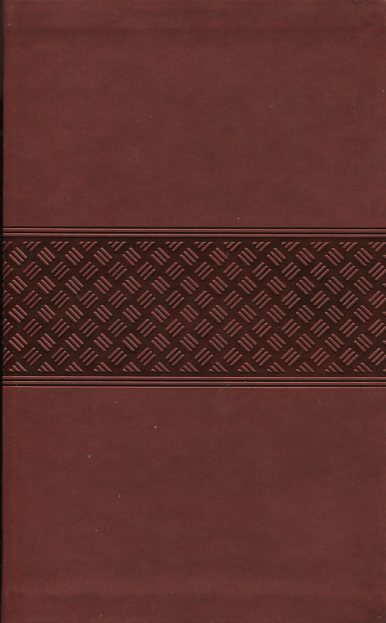 The ISBN for NKJV Classic Gift Bible: Brown, Imitation Leather is 9781401676384. Be the first to review NKJV Classic Gift Bible: Brown, Imitation Leather! Got a question? No problem! 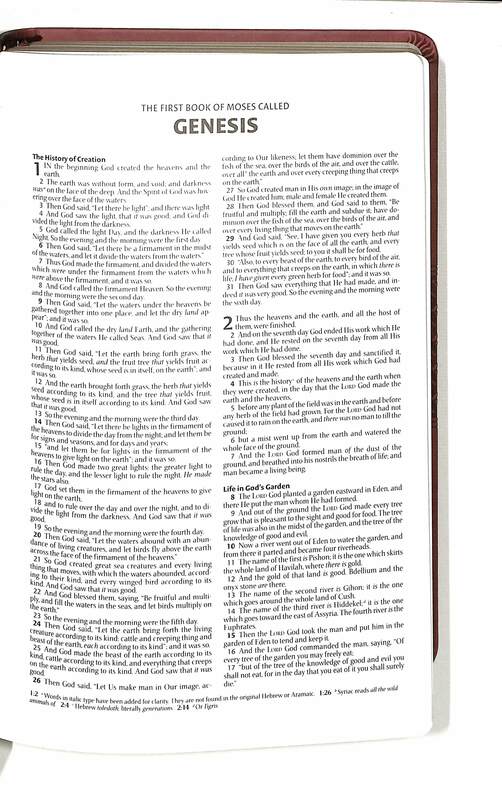 Just click here to ask us about NKJV Classic Gift Bible: Brown, Imitation Leather.